The first in a series of small presentations which take a single artwork and use this as a springboard for a curatorial response, juxtaposition or collaboration. 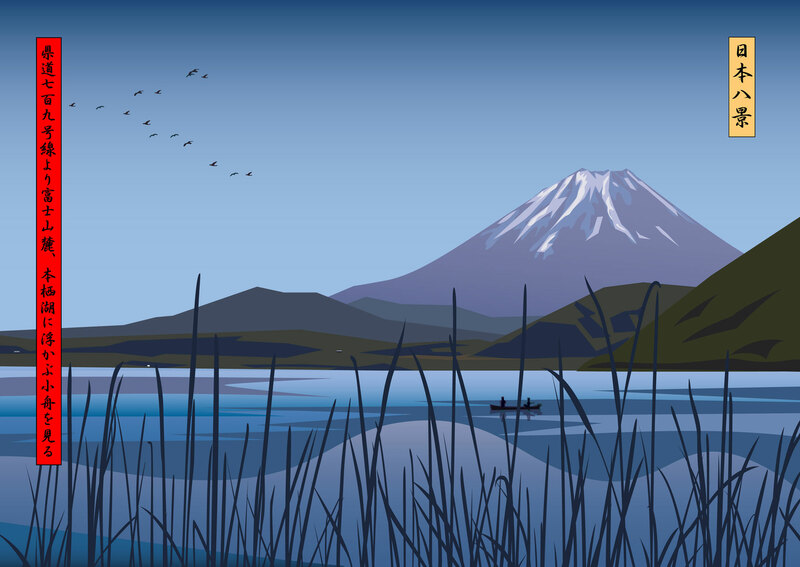 The resulting exhibition takes the title of the chosen work, in this case: View of boats on Lake Motosu below Mount Fuji from Route 709 by contemporary British artist Julian Opie. Julian Opie is one of the most prominent and influential artists of his generation. He has exhibited extensively at museums and institutions around the world since the 1980s and has completed major public art commissions far and wide, from London to Tokyo, and Luxembourg to Bermuda. Later in 2018, the NGV, Melbourne, will host an in-depth solo exhibition of his work. Opie’s practice connects contemporary, classical and ancient forms of visual representation, drawing on a range of influences as seemingly disparate as public signage, classical portraiture, computer graphics, Egyptian hieroglyphs and Japanese woodblock prints. He has become widely known for a reductive visual language which strips back representation to the bare essentials. For this current presentation, a large lenticular panel by Opie featuring a view of Mount Fuji has been paired with a Hokusai woodblock print from the famous series Thirty-six Views of Mount Fuji (ca. 1830-32). Not only is there a striking similarity in composition between the two works, the pairing is also fitting with regard to the notion of an ‘original’ edition. Opie’s practice actively explores the relationship between unique works, original limited edition artworks and unlimited multiples. The Hokusai woodblock print prises open the dialogue between the significance and value of editions and their potential for engaging and satisfying a broader audience.